The 'Linguistics in Modern Foreign Languages' (or MFL) project will assess the potential for the inclusion of linguistic topics in the Further Education MFL curriculum. Current syllabi make a sharp distinction between language and content, the latter referring to literature, film, history and culture. This differs from many university courses in which linguistic content is fundamental. Our project will engage students with linguistics and deepen their interests in language, including its historical, cultural and social reflexes. We are interested not only in how stimulating and relevant the pupils find these topics, but also in what effect this exposure has on their language attitudes and their confidence levels with speaking/writing another language. The project is concerned principally with taking drastic action to address a crisis in MFL teaching and learning. 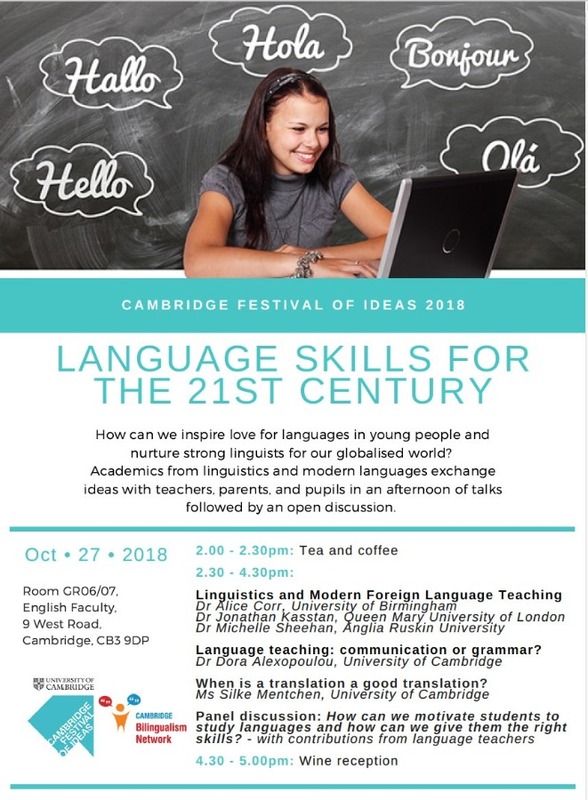 The ultimate aim of this project is to drive stronger uptake and results in MFL study, and to enthuse and better prepare candidates for entry into MFL at university by bringing about a change in the curriculum. We envisage that this will also encourage more students to take MFL degrees at university. Data on higher-education aspirations and eventualities will also be collected as part of the project. The project is currently recruiting for the 2018-19 pilot scheme. If this pilot is successful, we will be seeking further funding to extend the project to a broader national level, and encourage the participation of more schools, particularly those in the state sector.